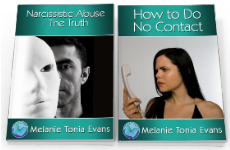 Melanie shares her insights into life from a spiritual perspective through a selection of empowering quotes to encourage deep soul thought and help you to heal your life and become more empowered. These perspectives can help to awaken us to some of our subconscious and ingrained dysfunctional beliefs and thought patterns that don't serve us in life, and inspire new ways to think so that we may begin to consciously manifest more success and happiness in our life. N inety percent of our life is created for Emotional Belief Systems, not logical reasoning. This explains why past trauma, pain and fear creates powerful 'less than' belief systems that have wedged like crossbows. T aking back our power means deciding who we are, and who we wish to be. This is only possible when we no longer make our past or other people's opinions "about us". you've turned a very big corner. B reakdowns are your greatest breakthroughs. Rank the severity, and know this is the quantity of the spectacular gift you'll receive on the other side. You planned it all perfectly. I t is impossible to park a Ferrari (healthy new belief systems) in a space that is taken up by an old wreck (negative old belief systems). N eeding is a state of the ego - that tries to convince us that we are empty and we need something to feel love, success and happiness. Our true self requires nothing to feel complete. From a state of being complete we create more to complete us. Y ou have always been deciding the truth of your life. It is how you decide to feel about it. There is no need to try to work out what something means. You decide what it means. R eincarnation is not related to our past glories and triumphs - it is a prescription assigned to heal our previous unresolved fearful belief systems. The issues you have in your life may have been playing out for centuries. E very adversity in your life is presented as a response to your previously unresolved fears. This perfect system allows these subconscious undercurrents to be exposed and become conscious. By understanding and embracing this belief system you'll dissolve it and replace it. E veryone is dysfunctional. The most dysfunctional people are the ones that refuse to admit they are! Why have we all been wearing a mask and hiding when we all feel the same pain?! L ife as a Divine Creator is effortless. You don't have to do things to make them happen; you call forth people, situations, and events from an inner decision of being. Y ou are a more powerful creative being than you could have ever dreamed possible! S top judging life! Look at every event as blessed. It is offering you the fastest track to get onto your highest, happiest and most successful state. Your soul is working it all out perfectly. When you accept this you'll make life amendments easily and lovingly. Then the pain stops and the joyous creation begins. W hatever you don't like and accept about the 'perfection' of your life right now will keep coming. What you believe is 'missing' will stay 'missing.' Be grateful for however it looks and more will come to gratify you. U ntil you forgive, you are never free. By holding on you have made someone else's 'rotten behaviour' "about you", and you are carrying their karma for them. You will also magnetise more of the same 'rotten behaviour' into your life. W hat other people think about you is none of your business! What is important is what you think about you. Yet have the freedom of not needing it to happen!. U nderstanding and mastering your Emotional Resonance is vital. No matter what your head thinks if your 'body' (feeling state) doesn't know it, it's impossible to achieve. A n essential part of 'manifesting your truth' is learning to say 'no' to something that doesn't serve you, rather than trying to change it or fix it into a 'yes'. Until you've learnt how to love, support and respect yourself. I n order to create something in our life we need to be-come it. When we are being it, it will come. we're powerless to take control of it ourselves. And guess what? They don't! Face the truth: It's much more fun, powerful and durable to do it for yourself. W e always receive what we need in order to become a more complete (happy, peaceful and purposeful) human being. Then...we do something about it!